Giygas: up close and personal. A Giygas painting based on a previous Giygas painting I made. A very good friend of mine saw it while visiting my apartment, and asked me to make one for her. This was the result. I purposely kept the colour simpler this time around. 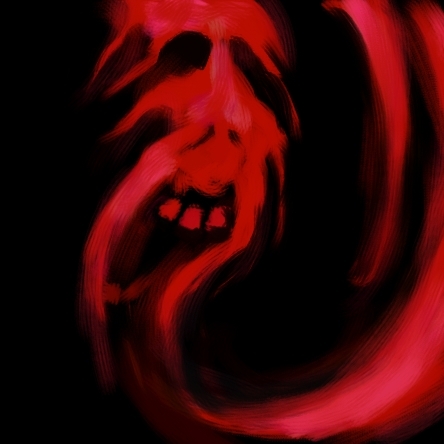 A painting of Giygas. Done without reference, as I'm starting to get a better idea of what he looks like without a picture to look at.